FOLK favourites Show of Hands return to St David’s Hall with their brand of roots and rock on Wednesday 2 November at 7.30pm. Joining Britain’s most popular acoustic partnership is regular collaborator and double bassist Miranda Sykes, who has helped seal their reputation as one of the folk scene’s major players. Since their first self-titled album in 1987, Show of Hands have wowed audiences with the inventiveness of their music. 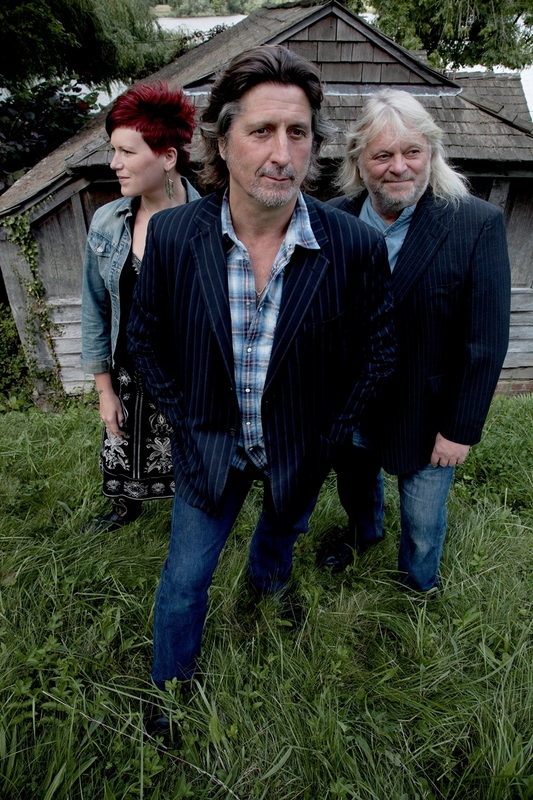 Singer-songwriter Steve Knightley writes the majority of the group’s resonating songs, whilst multi-instrumentalist Phil Beer creates their unique sound using everything from slide guitar to fiddle, and mandolin to South American cuatro. But it’s not just the dazzling musicianship that has won the hearts of their devoted following. They have a remarkable connection with the crowd, and can hold each audience member in the palm of their hands until the last chord is strummed. Widespread critical acclaim has also been secured. Show of Hands have sold out the Royal Albert Hall several times, headlined at Glastonbury and taken their fusion of acoustic blues-rock and folk worldwide. It’s with very good reason that they are triple winners at the BBC Radio 2 Folk Awards (Best Duo, Best Original Song, Best Live Act). The Walk With Me tour sees the talented trio perform classics from their 25 years at the top including selections from their latest album Long Way Home (nominated for Best Album at the 2016 BBC Radio 2 Folk Awards). Special guest for this show is up and coming singer-songwriter Megan Henwood. Be there for the triumphant live return of Show of Hands with Miranda Sykes at St David’s Hall! Tickets are £22 (plus a £3.95 Ticket Service Charge per transaction and an optional 95p postage fee).